I am a LEGO FAN! Having to see a life-sized X-wing figther is truly an amazing sight! 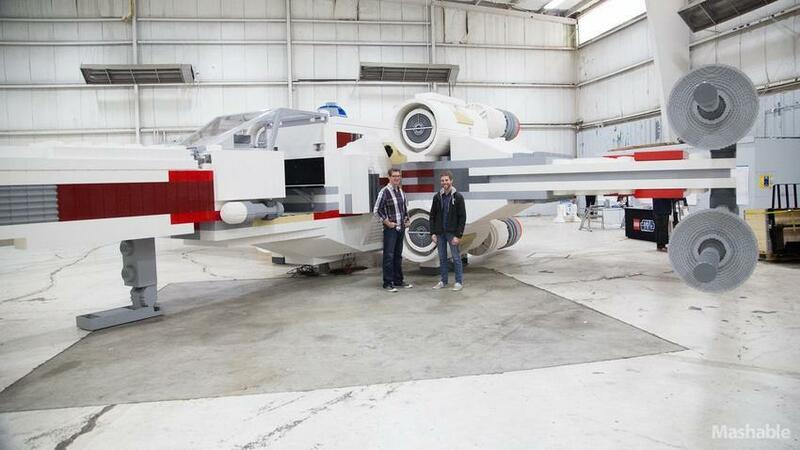 Built entirely out of LEGO bricks, this is one very huge project and definitely a sight to behold. LEGO Group launch the project in celebration of the upcoming Cartoon Network series The Yoda Chronicles. This is the largest LEGO structure built to date and is now available at the New York City’s Times Square. This beautiful artwork is made up of 5,335,200 bricks and stands at 11 feel tall, 43 feel long and 44 feet wide. Weighing 46,000 pounds, it is said to be the one-to-one replica of the X-Wing retail model but except it is 42 times larger than ever. This is a year long project and I believe this project is truly amazing. I really want to share this with all the LEGO fans out there! Good job!